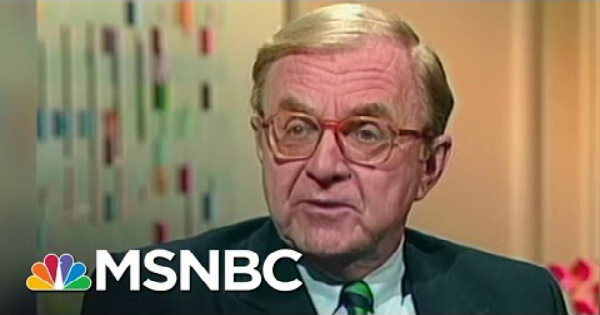 The great John McLaughlin, who ran “The McLaughlin Group” television show for 34 years, died this year. He left a huge gap in television commentary. My favorite part of this series was the show that he called “The McLaughlin Year End Awards.” He would do one show around Christmas and another around New Years. In tribute to McLaughlin, I present my choices for these awards. Today, I present Part 2 of the awards. You can find Part 1 in my archives. Ted Cruz, who garnered so much support in his failed presidential campaign, that the Senate cannot ignore him anymore. Expect him to make another try for the presidency. Hillary Clinton. Ding dong, the witch is dead (figuratively). The several humorous campaign ads that Ted Cruz published. Any Donald Trump speech in which he insulted someone. The Justice Department choosing not to indict obviously guilty people who are on Obama’s side politically. Hillary Clinton, Lois Lerner, and the Fast and Furious gun runners are just a few examples. Supreme Court Justice Antonin Scalia leads a majority of the court to rule against the EPA’s efforts to end coal based energy. A few days later, he is dead. No autopsy. Even Prince got an autopsy. Whenever a news agency reports shootings between police officers and blacks. Some organizations report that a police officer died and do not mention the blacks. Other organizations report that a black died and do not mention the police. No organization reports the whole story. With every news agency, half of the story is over-reported and the other half is under-reported. The “corporate welfare” spent on companies that give generous campaign contributions. There is enough to balance the budget here. The salaries of the FBI agents who stood up to Director James Comey and forced him to reopen the investigation of Hillary Clinton’s emails. They probably caused the defeat of Hillary Clinton and changed history. Several attorneys general from liberal states colluding to accuse global warming sceptics of racketeering for merely expressing their opinions. Donald Trump, noticing that his campaign is not running efficiently, is willing to fire people at the top. First Lewandowski, later Manafort. Barack Obama visiting Cuba. This sends the message that Cubans waiting for Raul Castro to die of old age so that they can take back their country will not have US support. They may as well give up now and stay under communist oppression. Supreme Court Justice Antonin Scalia. Former Breitbart reporter Michelle Fields, who charged Trump Campaign Manager Corey Lewandowski with simple battery for allegedly shoving her aside when she was trying to question the presidential candidate, who did not want to be bothered. Welcome to politics, Miss Fields. Your 15 minutes are over. Attorney General Loretta Lynch saying that she referred to FBI Director James Comey’s recommendation not to prosecute Hillary Clinton for her many crimes. By getting Comey to recommend against prosecuting Hillary, Lynch easily avoided taking heat for not doing her job. Donald Trump’s ability to make deals. His rough edges preclude making deals. The desire to change the way Washington does business, manifesting itself in a fervor for outsider Donald Trump and even socialist Bernie Sanders. Ted Cruz, who was willing to campaign in Iowa saying that he wanted to get rid of ethanol subsidies, even though the Iowans make a lot of money from them. Barack Obama will make frequent comments to the press, like someone desperately seeking 15 minutes of fame. “Nostradamus, Jr.” Kaliher’s Top 101 Predictions for 2017The Democrats Ban "Offensive" Flash Mobs for Jesus, Want Mobs of Looters and Rioters Instead!